At Bitty & Beau’s Coffee, customers learn a valuable lesson: We’re all far more alike than we are different. 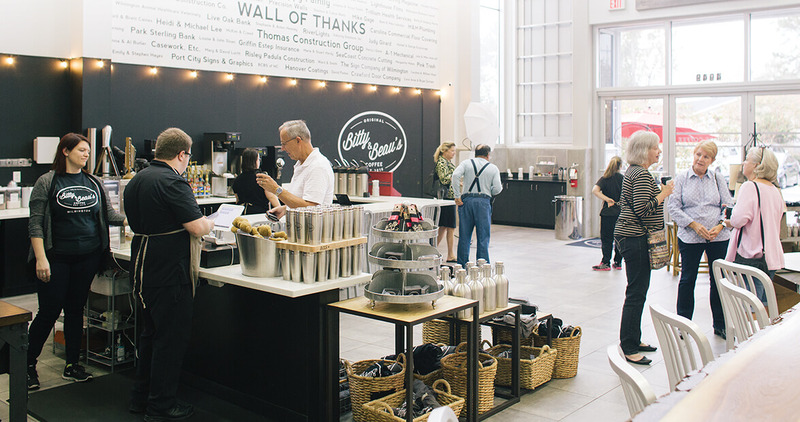 Sure, coffee lovers come to Bitty & Beau’s for steaming lattes and frothy cappuccinos, but they’re equally drawn in by the café’s mission. Realizing a need for people with intellectual and developmental disabilities (IDD) to find employment and purpose, Amy and Ben Wright opened their coffee shop — named for their two youngest children, who have Down syndrome — in January 2016, employing 19 workers with IDD. Today, folks congregate, chat, and hold meetings at tables, a wood-slab bar, banquettes, a lounge area with sofas, and even a glass-enclosed conference community room, all of which is overseen daily by Amy and a rotating, cheerful crew of 40.